Here's the plane, fully assembled. Rosewood tote, knob, and fence. 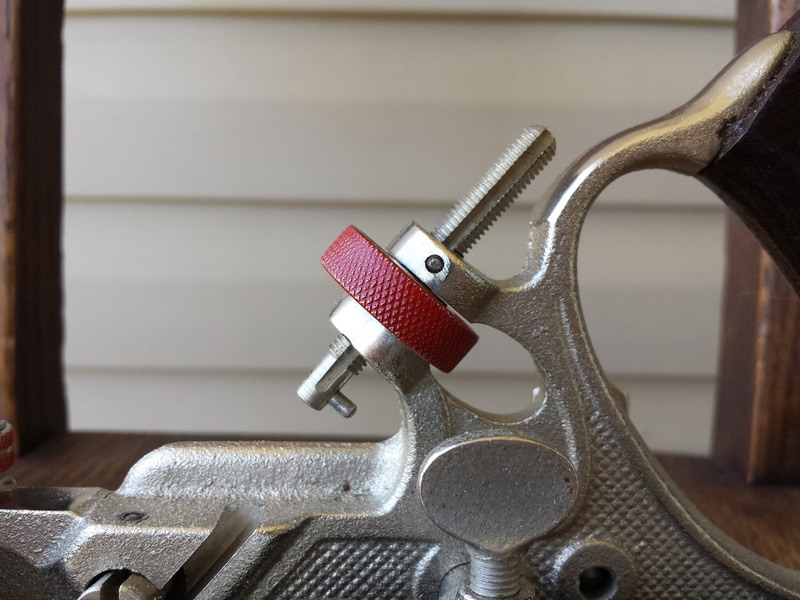 The body is chromed (possibly it's nickel), and the iron adjuster wheel is painted red. This plane was basically NOS. I thought I’d do a photo heavy post today. Unlike a lot of recent posts, this one isn’t a restoration (because this plane didn’t need me to touch it). If you have any questions, please post them in the comments below! 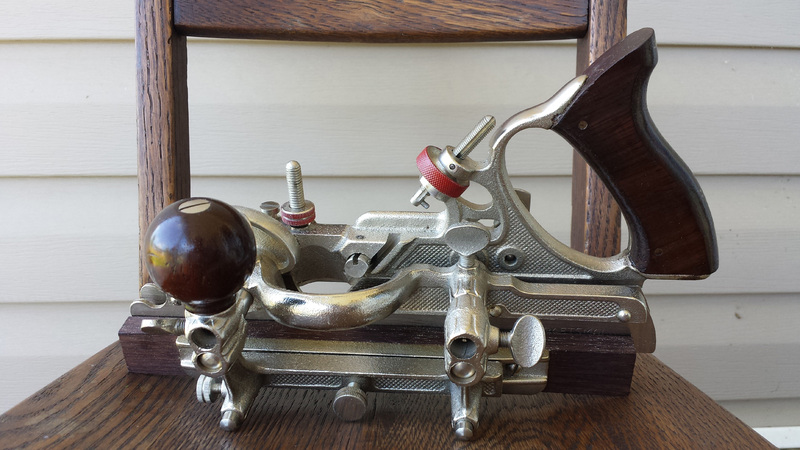 For Father’s Day 2015, my wife and son got me a Craftsman 3728 Combination Plane. 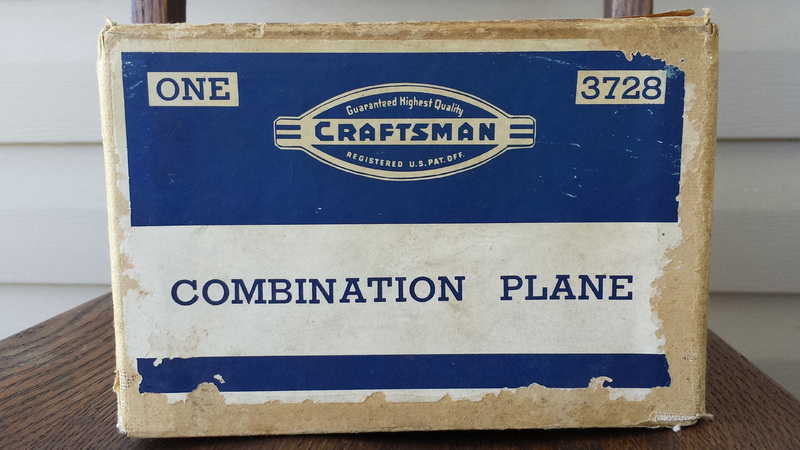 Vintage Craftsman planes were made by several manufacturers, including Stanley, Millers Falls, and Sargent. 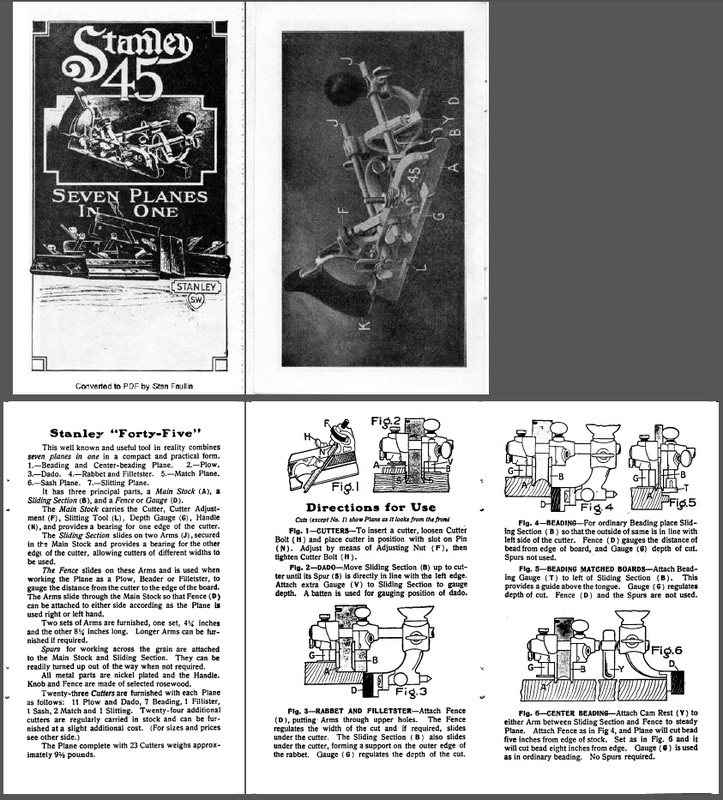 The combination planes were, at one time, also manufactured by Sargent, as clones of their Sargent 1080 planes. 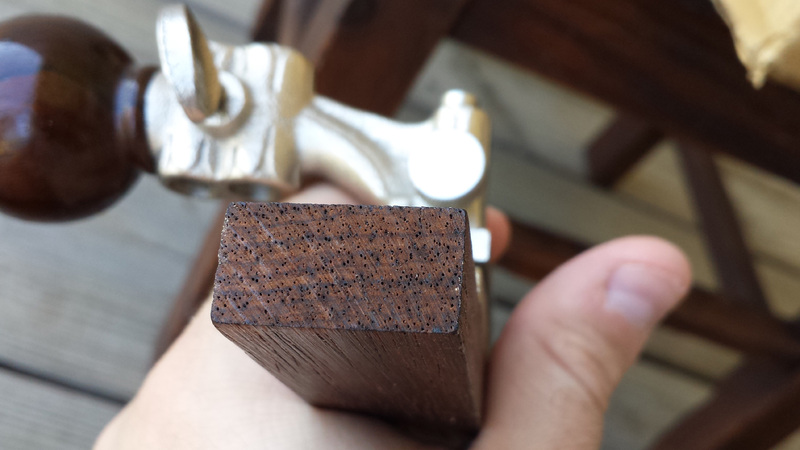 Working By Hand has a nice blog showing off one of the Sargent 1080 clones. 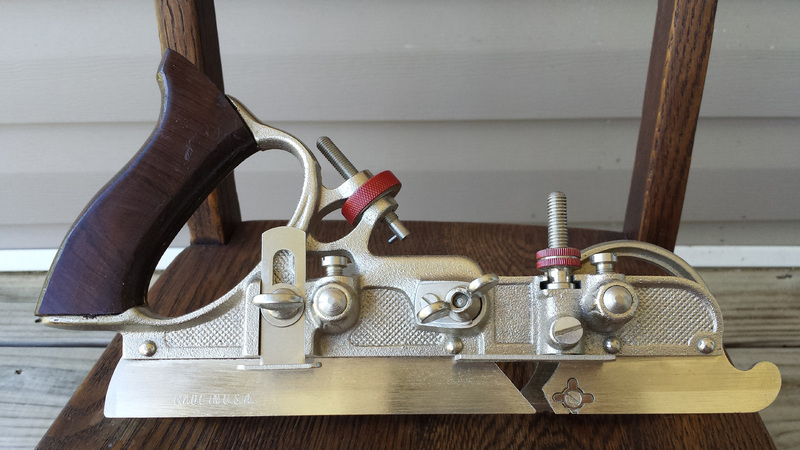 My plane, on the other hand, is definitely a Stanley-made clone of the classic Stanley 45 (probably early 1950s vintage). 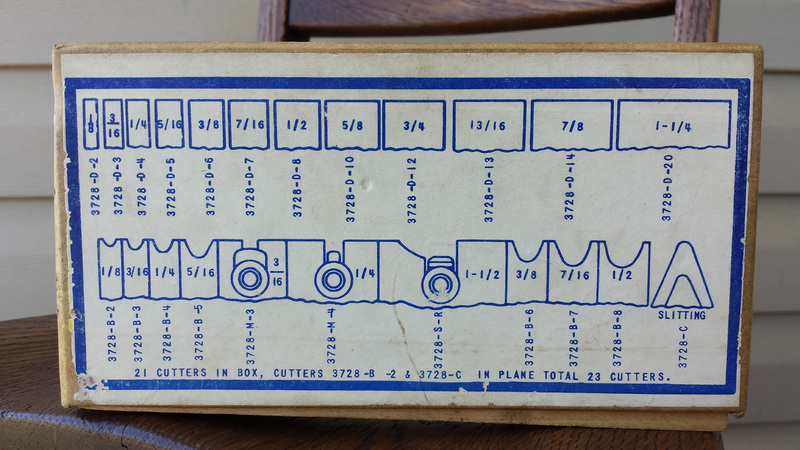 In additional to all of the clues in the components of the plane, such as the cutter adjuster wheel, the smoking gun is a booklet included with the plane by Craftsman, as we’ll see below. Here’s the plane, fully assembled. Rosewood tote, knob, and fence. 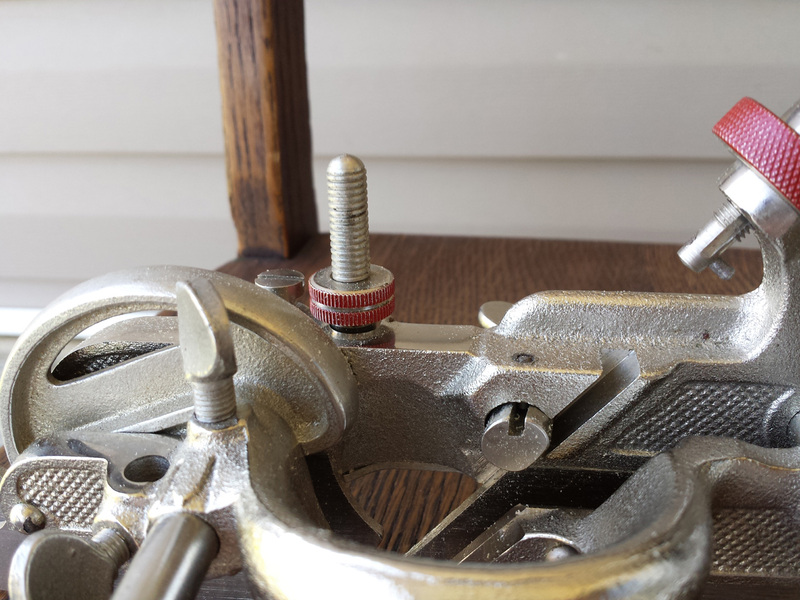 The body is chromed (possibly it’s nickel), and the iron adjuster wheel is painted red. This plane was basically NOS (new old stock). 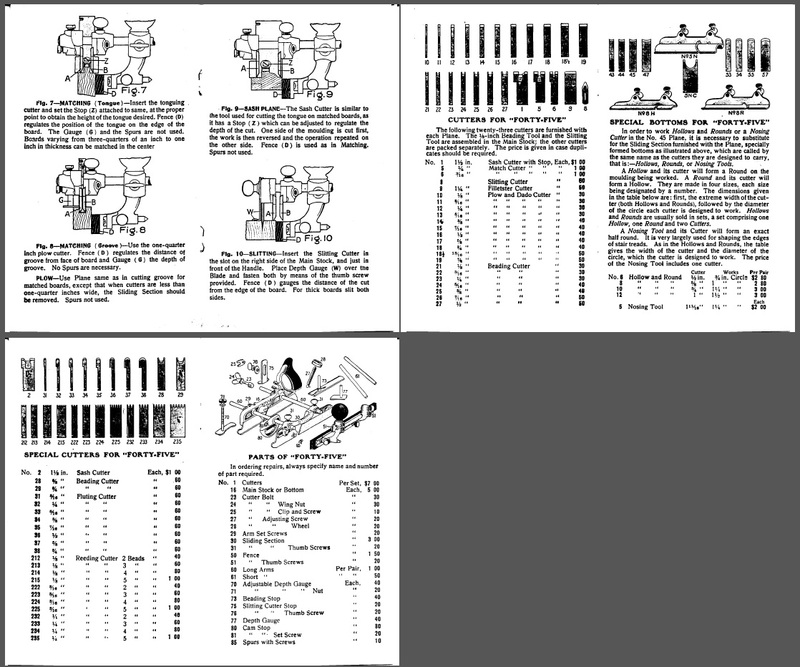 These were already pricey back in this 1952 Sears ad. 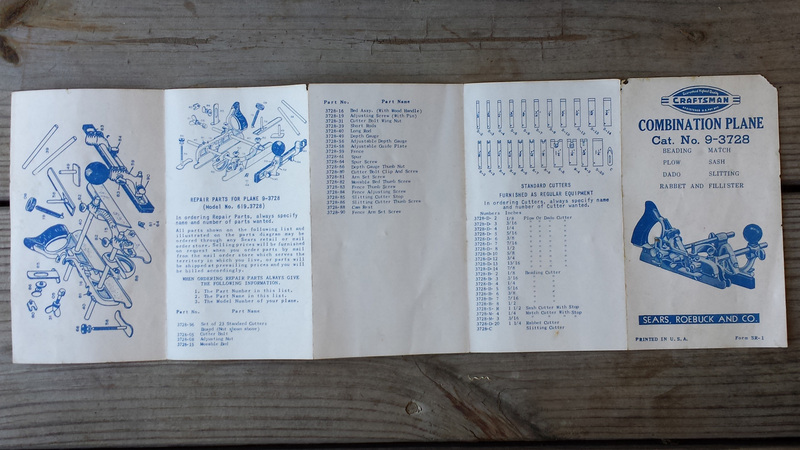 $23.95 in 1952 dollars was equivalent to $213.77 in 2016. 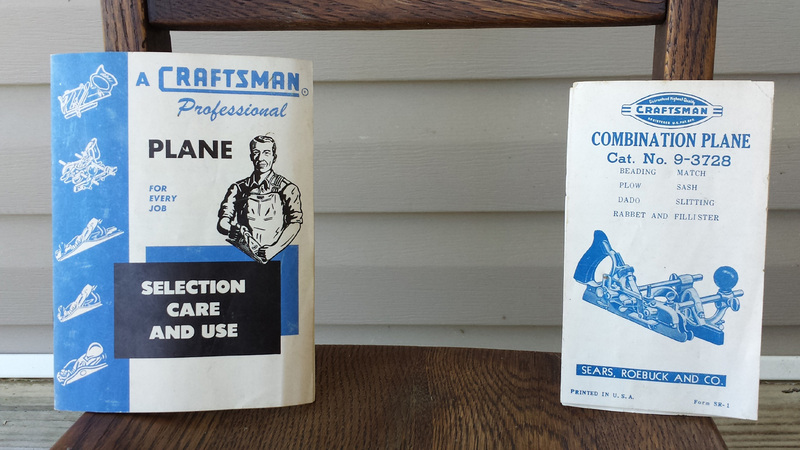 Original Craftsman booklets were included. 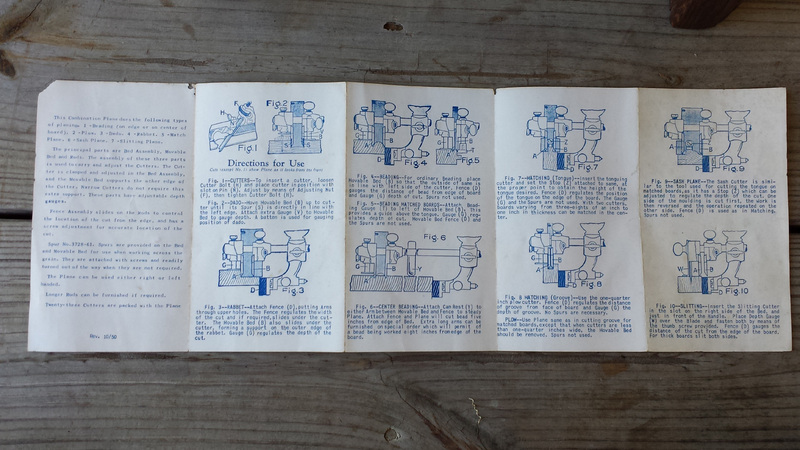 Here’s a Stanley 45 booklet. 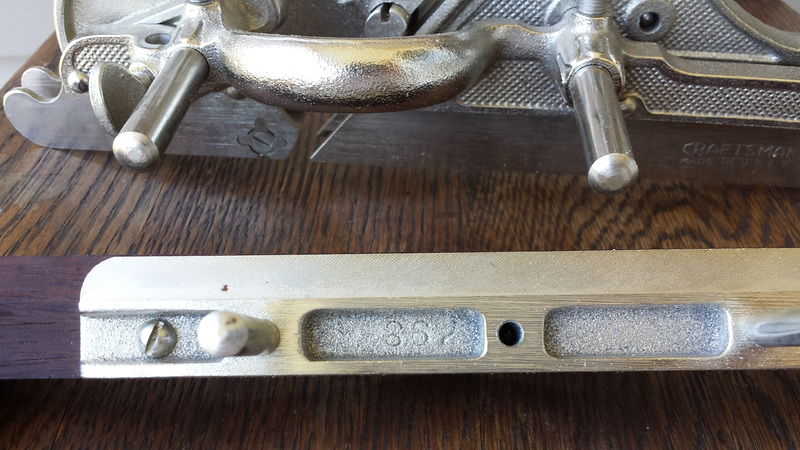 As you can see, they’re identical to the Craftsman ones, confirming Stanley made the 3728. A full set of blades was included. 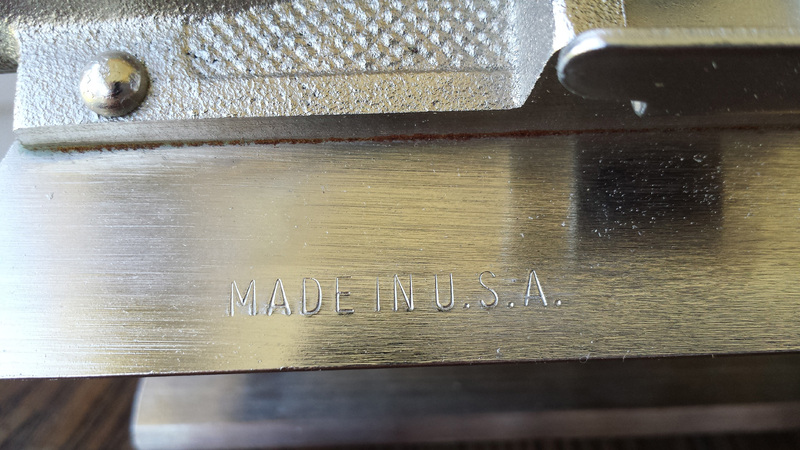 Made in the USA – music to my ears. 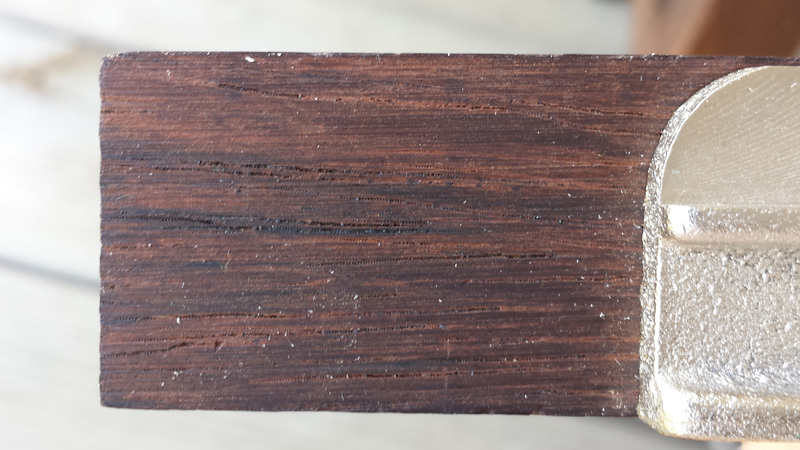 99% sure this is rosewood, but I’m not an expert at wood ID. 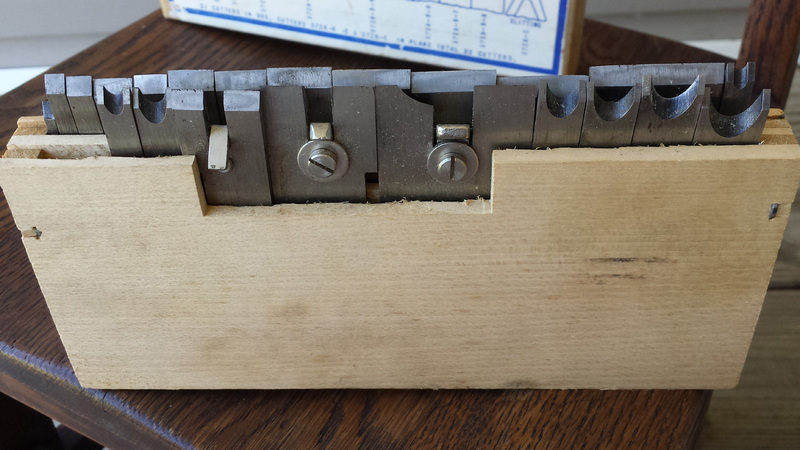 The cutters bed down in the diagonal slot. The only thing I’m missing is one long rod and the screwdriver. I can pick up a pair of replacement rods for $14 on ebay. 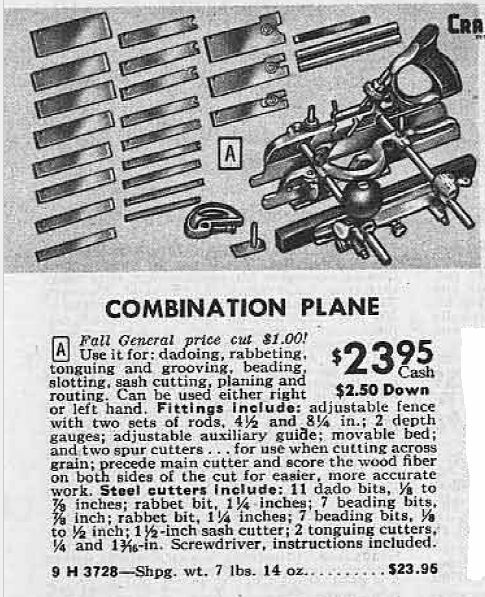 The cool thing there is that you’d have to pay somewhere north of $300 for a pristine Stanley 45 plane with all the cutters. 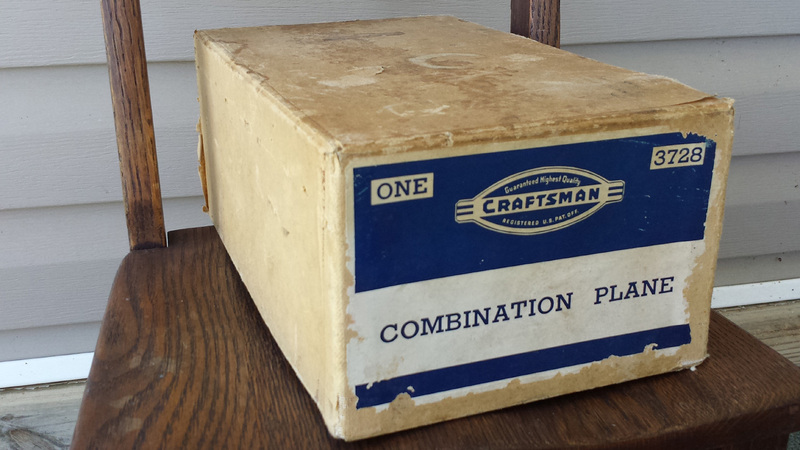 This is identical to the 45, but I paid less than half that amount because it’s a Craftsman clone. My lumber won’t know the difference. The plane itself is unused, NOS, as far as I can tell. 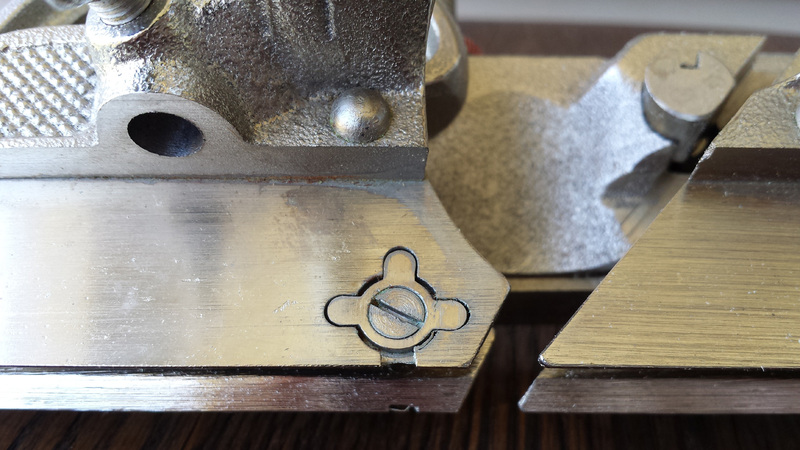 No rust (well, maybe a smidge on some of the iron, but everything else is chrome or nickel plated). Everything looks pristine. I haven’t had occasion to use it much yet, but I’m looking forward to making it a user. Now, this is how you make Dad happy on Father’s Day! Enjoyed your post. Have you used the plane much? Especially against the grain? 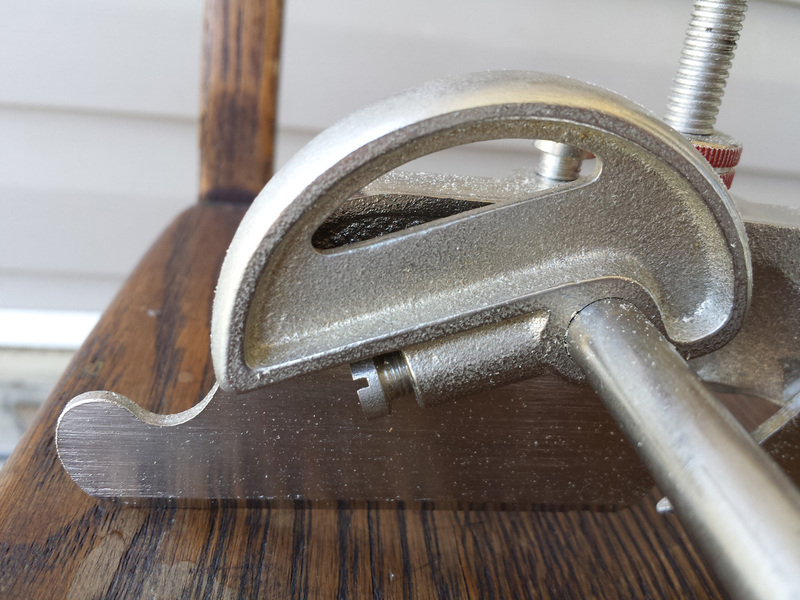 I’ve read a lot of articles saying how cranky these combo planes are, but man o man do they seem to be great tools. Honestly, not all that much. I have been pretty busy with work and haven’t had a lot of time in the shop to work on ‘fun’ projects, but I have it stashed away with a project in mind for it, when I have the time and materials. Thank you for visiting, and I’m glad you enjoyed the Craftsman clone. I’ll probably post more Craftsman clone planes when time permits.